The Power Line vision is to provide a program within which athletes are inspired to excel. Our staff has high expectations for the results we garner from these programs. In order to reach an expanded group of athletes, Power Line mentors coaches, leads large skill developmental clinics and offers team practices for multiple league and organizations throughout San Diego County. Our Power Line coaching staff believes softball is based on fundamental skills combined with broad understanding of the game of softball and mental strength. Our coaching staff has all played and coached at top 25 Division 1 colleges after training with the top coaches in the nation. This experience and mentoring has provided our coaches the foundation to teach the tools and techniques that are most useful for development. In order to reach an advanced level of play, our athletes must train their muscle memory consistently. We structure our large skill developmental clinics and team practices around this philosophy, making sure we focus on all aspects of the game. We often times use videos and photos from these events to post on our social media sites, providing our leagues and organizations additional exposure. 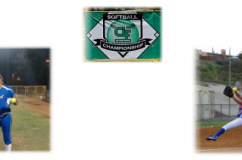 Also for your league and organizational coaches, we enhance their softball knowledge through dynamic, interactive and goal oriented clinics, so they are able to continue our drills and reinforce the skills necessary for our athletes. We provide additional drill and skills videos on our website and through our YouTube Channel. 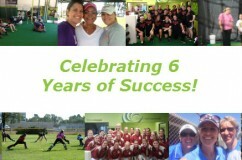 We spend countless hours developing our practice plans, yearly development schedule, and clinic organization. These sessions can be run in our energetic and bright Power Line facility or at your league or organization’s home field. We aim to support the development of athletes and coaches in whatever capacity needed. We strive to teach the skills and the mental game so that our athletes continue to develop and that these skills are consistently being reinforced by their coaches and parents. This when we see athletic development continue to build successfully.